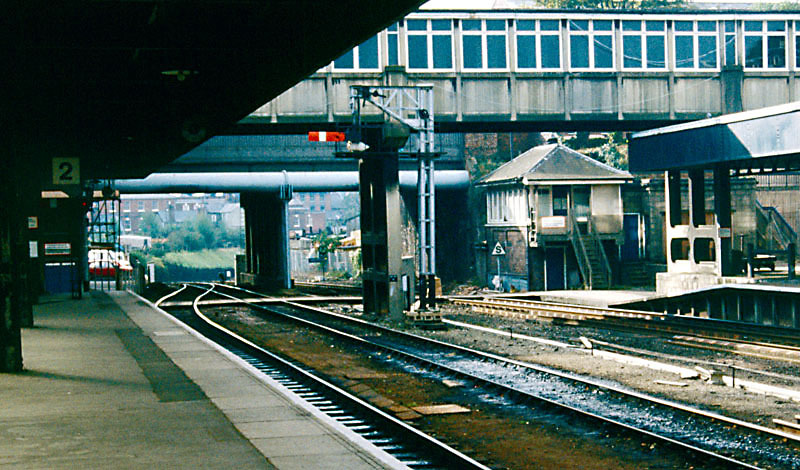 Exeter Central 'A' box with its up home. 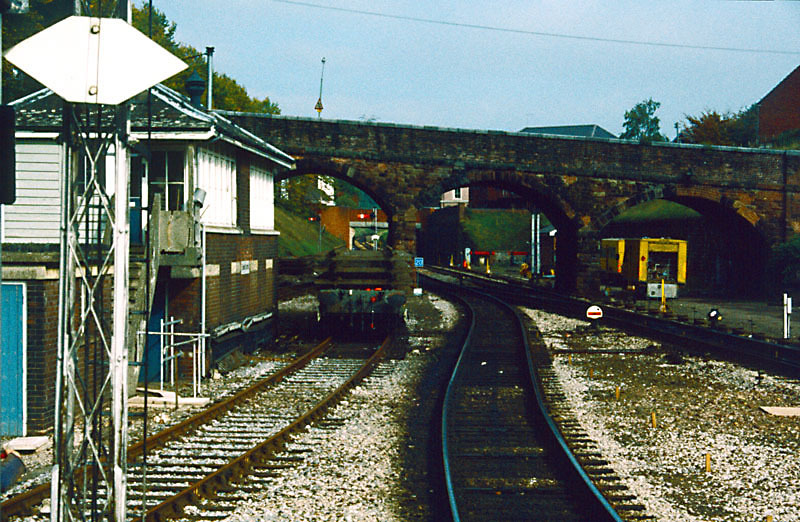 To give trains a clear run up the bank from Exeter West, Central 'A' had no up stop signals until the London end of the station platform was reached. 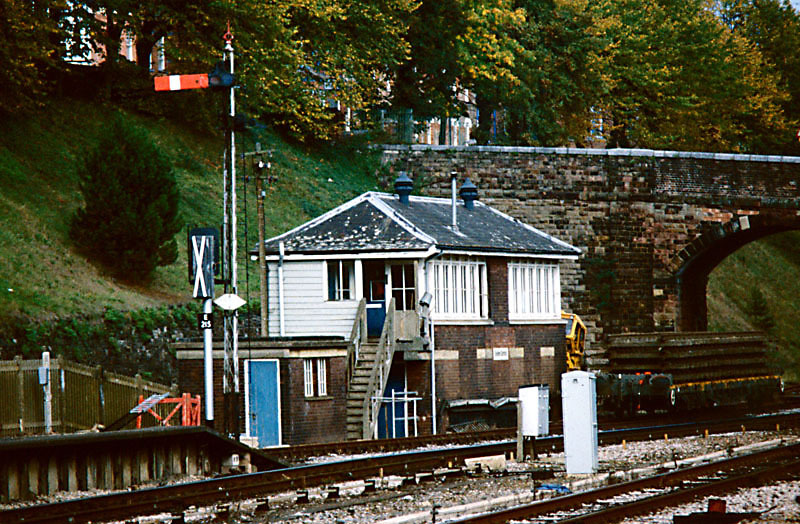 The country end of the station, with the former 'B' box still in situ. 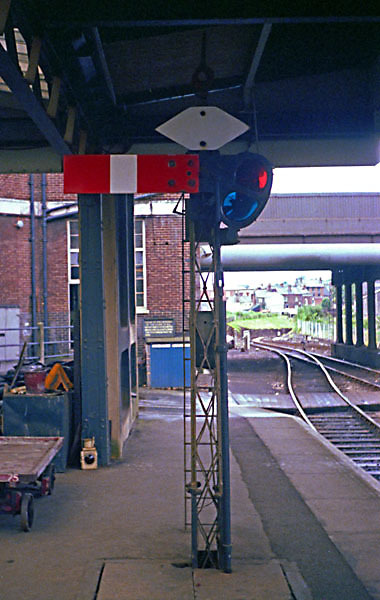 The down local starter (the through platform lines here were termed the 'local' lines) can just be made out under the platform number sign. 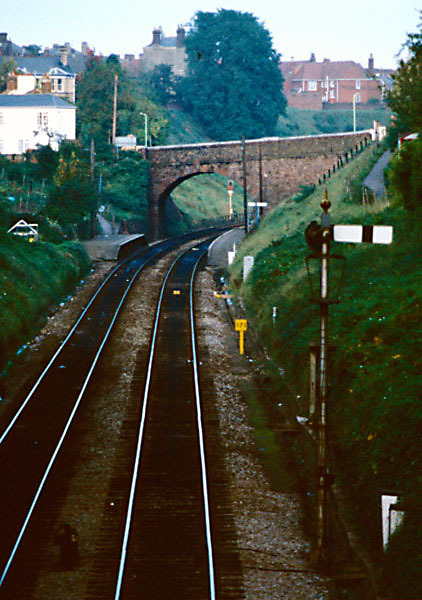 The view down the bank towards Exeter West, with the down advanced starter in the middle distance and a catch point and runoff siding visible for the up line. 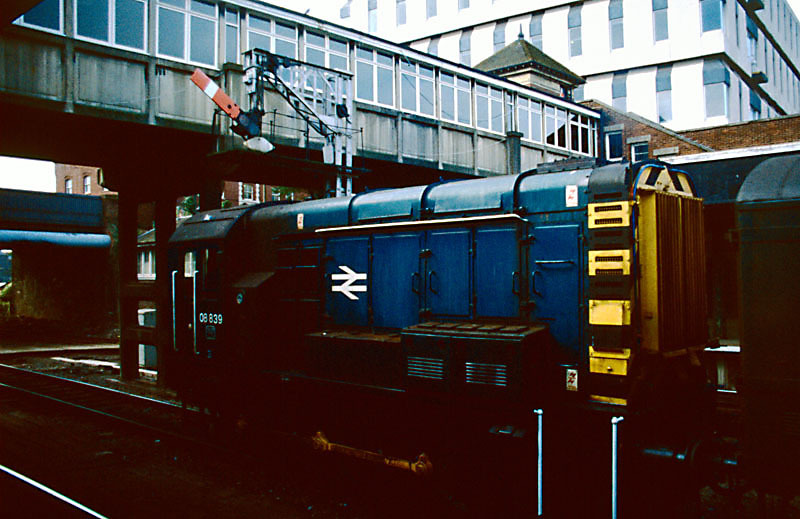 A shunter heads a train past the down through starter "gallows" signal. 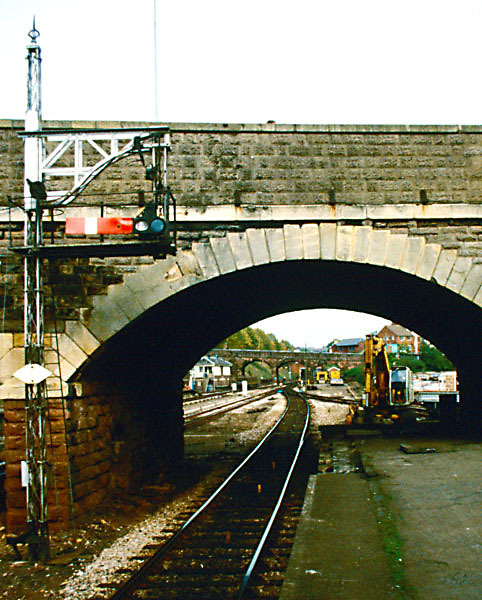 The station throat at the London end, with the down inner homes bracket and up starter visible. 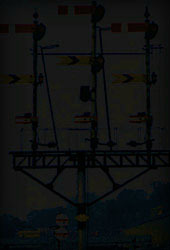 The home signal for the up bay. Because of the road overbridge, this banner repeater was provided for the up home. 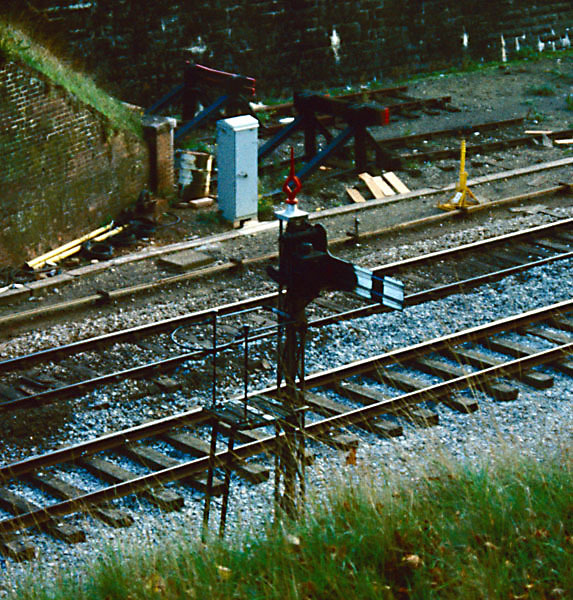 This second, lattice-posted gallows signal allowed reversing moves from the down local back towards Exmouth Junction. 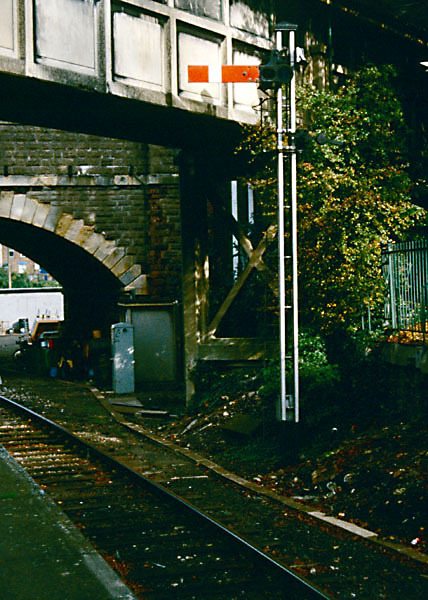 The up home from the down bay line - this platform was and still is often used for reversing Exmouth branch trains. The down home, which had obviously been renewed since the WR gained control of this line. 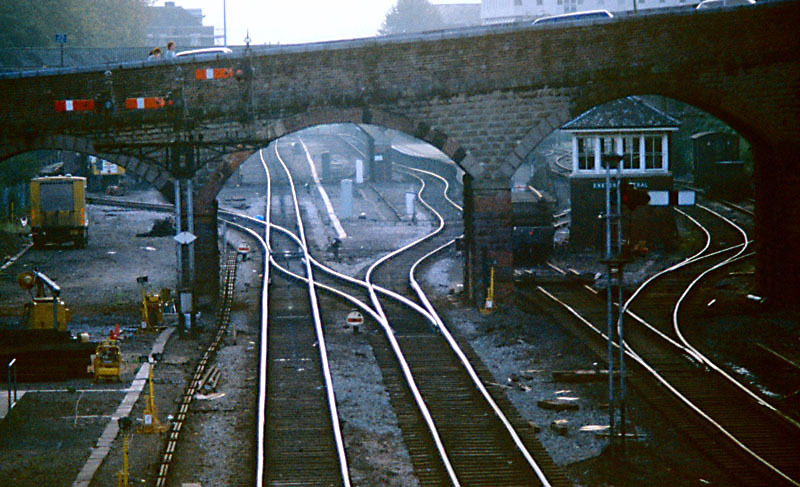 Beyond St James' Park station, the up advanced starter is also visible. 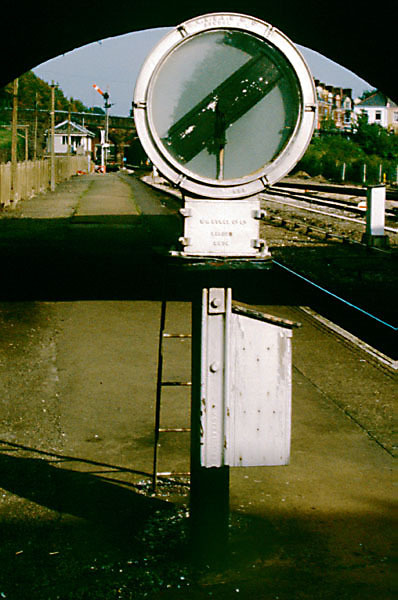 The up bay line starter was this nice corrugated signal on its lattice post. But I can't recall ever having seen SR-pattern finials painted red other than here. 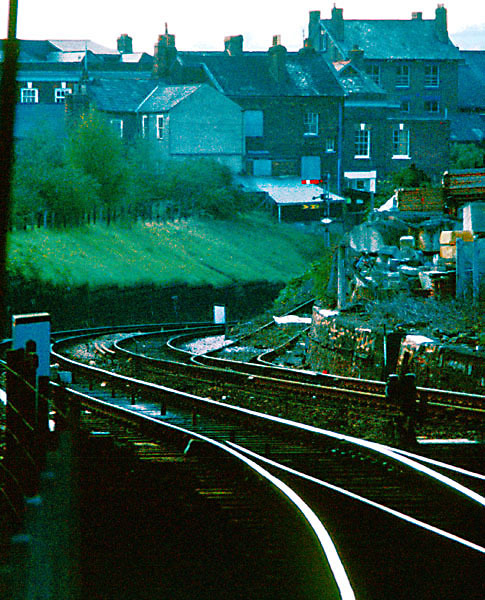 The view from the London end of the up platform. 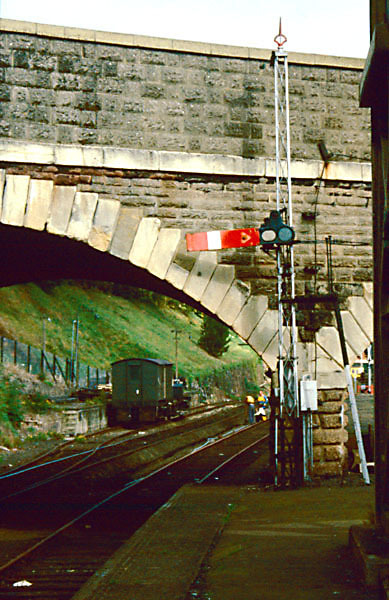 The signal above is the one on the very left under the arches. A better view of the down local starter.